Need a fun activity at the end of class? 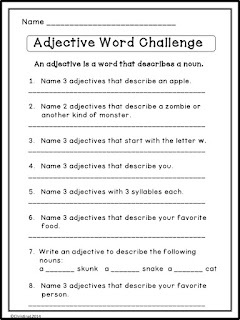 Try this Adjective Word Challenge. Students can work on it individually or in pairs/groups. See who can come up with the most unique answers! Works great with ESL students, too.